Last week, I went 3-1. This week, I am expecting to go 2-0, but let’s see what happens! New England 27, Baltimore 24 – I am super excited for this matchup, especially since these two teams always find a way to end the game with a dramatic sequence. Baltimore defeated New England last time these two teams met in the postseason, 33-14. Running back Ray Rice tallied 159 yards on 22 carries, and two touchdowns, while quarterback Joe Flacco finished the game 4 of 10 for 34 yards. 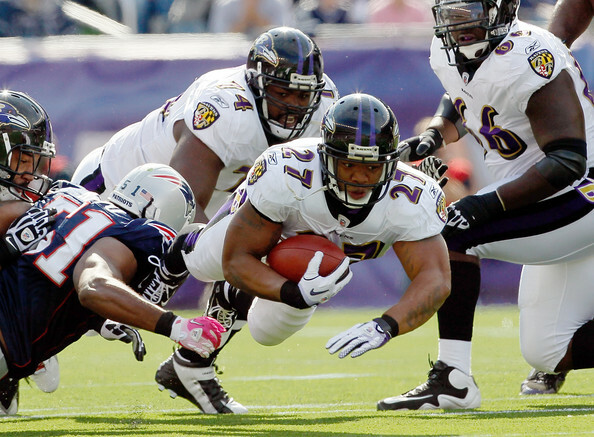 Although, the true matchup to watch on Sunday will be the Ravens defense against the Patriots offense. Tom Brady tossed six touchdowns last weekend against Denver, and certainly is capable of tearing apart Baltimore’s secondary. However, if Baltimore’s front seven can pressure Brady, as well as control the time of possession on offense, then they’ll win the game. Yet, if New England can control the time of possession, and contain Rice, they’ll win. San Francisco 24, New York 20 – I am not exactly the biggest fan of head coach Jim Harbaugh, but what he’s done in San Francisco has been rather impressive. Harbaugh revamped the 49ers defense to become one of the best in the league, and against Eli Manning, I’m expecting the front seven to not only pressure him, but also record two or three sacks, too. Alex Smith proved he’s a clutch quarterback, as he tossed three strikes to the end zone last weekend against New Orleans, which included the game winning touchdown to Vernon Davis. San Francisco handed New York a loss earlier this season, and once again, I am expecting them to defeat the Giants in the City By The Bay.